Clear & Crystal Audio. 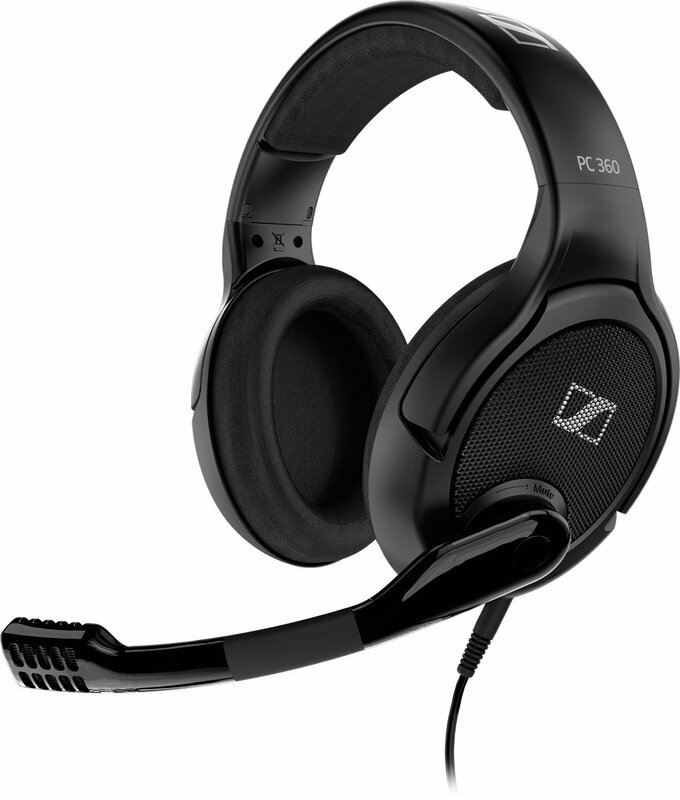 Superior 4X Noise Cancelling Microphone blocks out unwanted noise. The mic is also adjustable to pick up your voices loud and clear. Provide crystal-clear conversations even in noisy environment. 12-Hrs Talking Time. Offer up to 12 hours continuous talking time and 250 hours standby time with single fully charged in just 2 hours. Superior performance & Easy to Use. The 180 degrees flip-boom arm allows to adjust the angle.and Easy to pair, answer calls, control volume, start/stop the music. 12-Months Warranty. Phankey offers 90 days money back & 12-months worry-free guarantee. 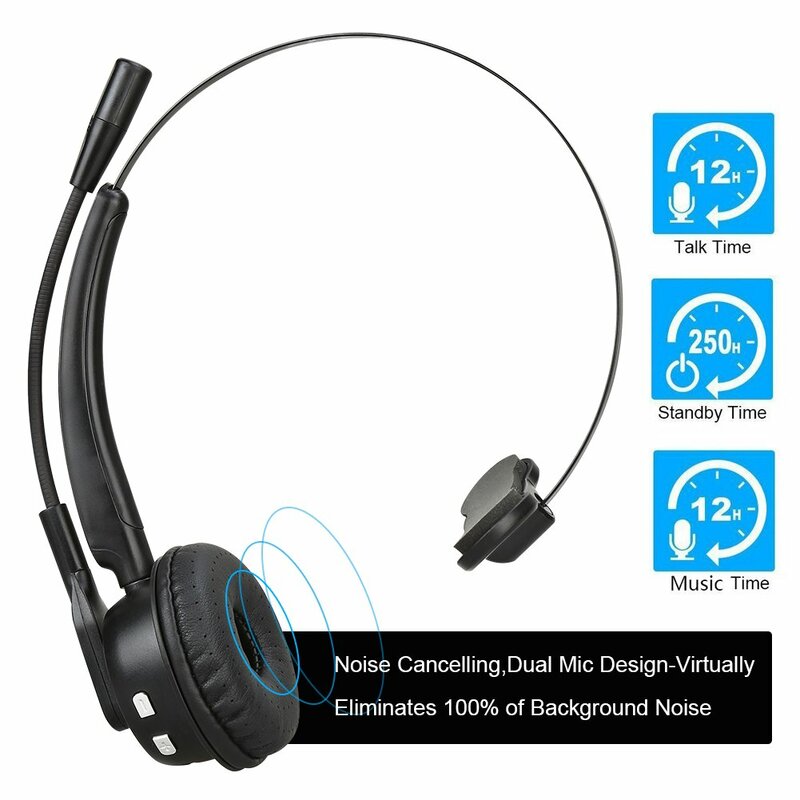 Please note that this headset DO SUPPORT listening to music AND more than 10 hrs music time. 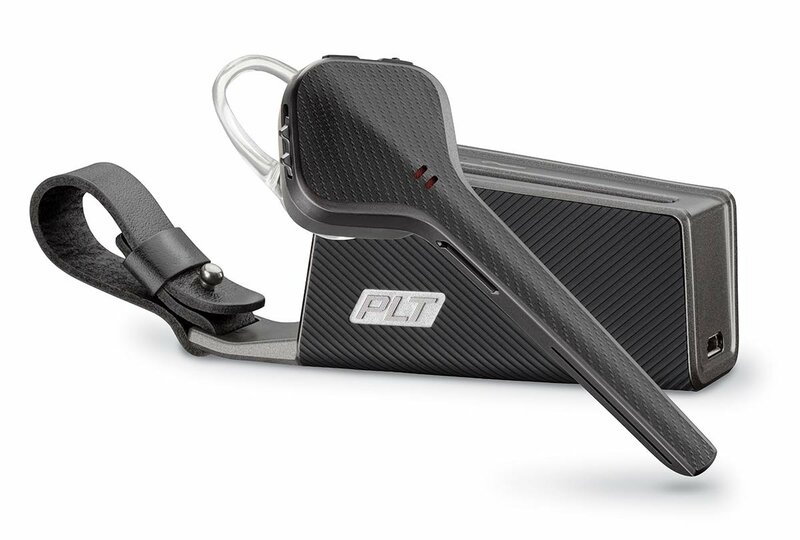 I have the toughest test in the world for Bluetooth headsets that claim to be "noise canceling," and this one passed the test with astonishing alacrity. What's the test? Speech recognition in a noisy environment. 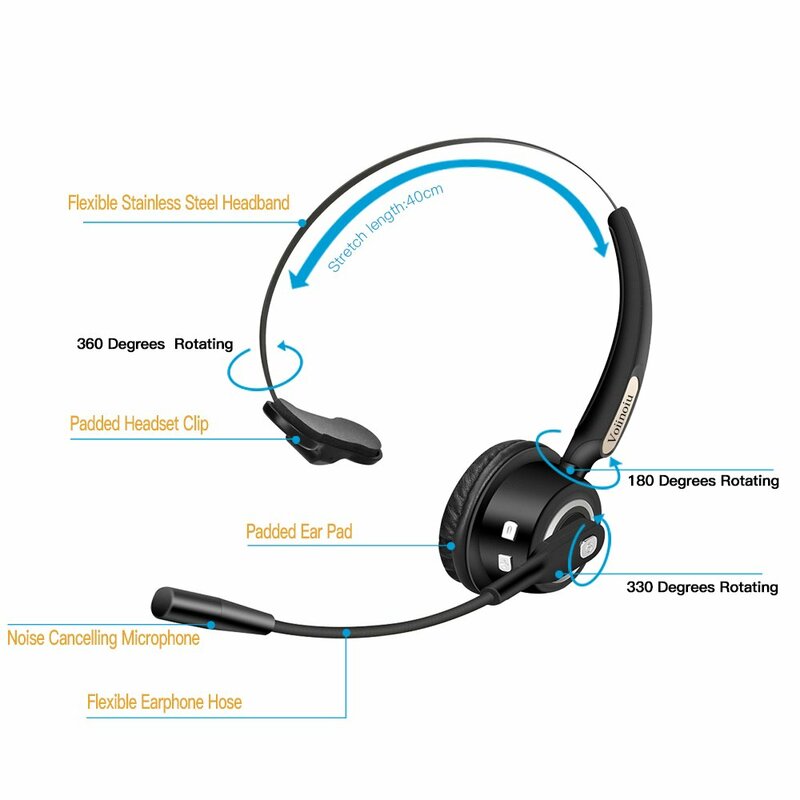 When I connected this device to my laptop (an easy, almost immediate task, by the way), it aced my Nuance NaturallySpeaking application with near-perfect accuracy, performing as well as the multitude of specialized, wired USB headsets I've tested over the years. That is no small feat. Then I connected it to my iPhone, turned the music up to 11, and held a telephone conversation in such a cacophonous din I couldn't even hear my own voice at all. The person I was talking to could hear me so clearly, she couldn't believe what she thought was "that soft music in the background" was actually blasting at rock concert volume. We could also clearly hear each other talking at the same time we each were talking (known as dual duplex). Remarkable. Beyond that, the headset is so comfortable I almost forgot I had it on, and it's nice and light but doesn't look or feel cheap. I love it. No wonder this product is aimed at truck drivers. It would work with the loudest truck in the world. It's a keeper. So far, so good, with a few minor issues. Connectivity with my iphone 6s has been excellent. 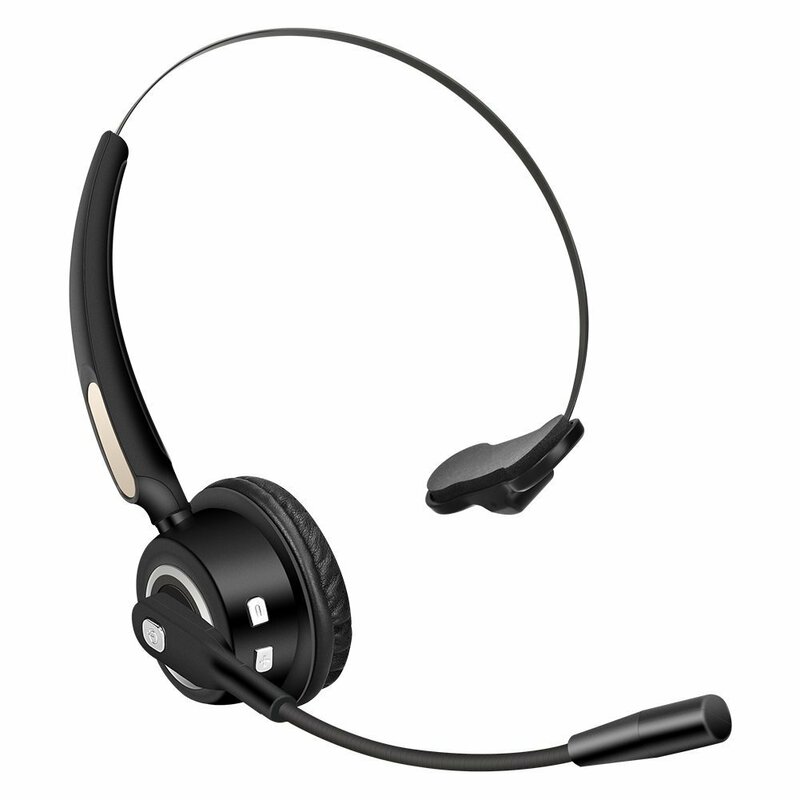 I can answer a call starting on speaker, then throw on the headset and hold down the button and (having been previously found as a bluetooth connection) it connects every time. 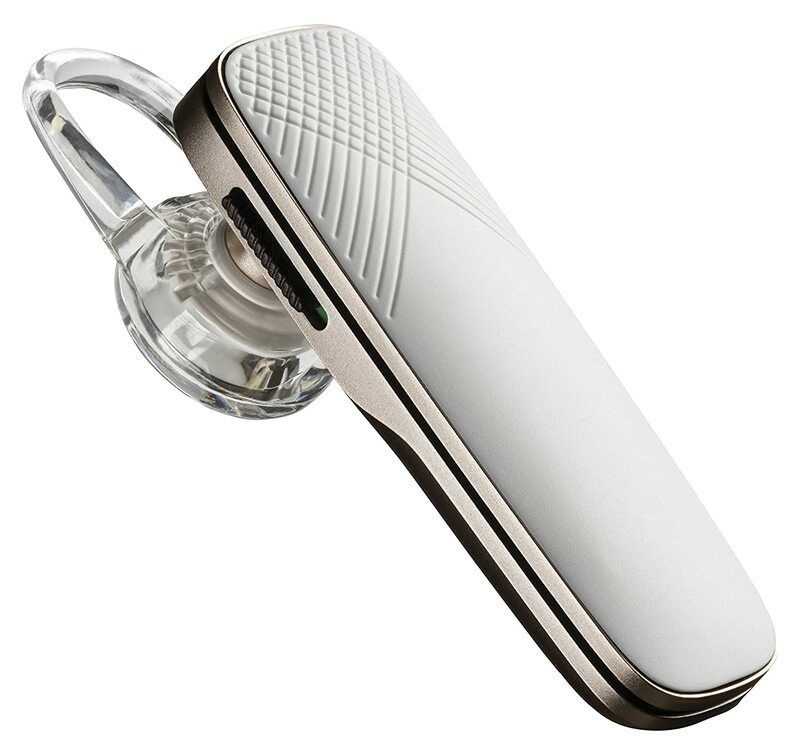 The padded rest opposite the earpiece can be uncomfortable, despite its padding and size. But moving it around usually achieves something I can wear for an hour or so in comfort. Battery life has been very good and the common jack input is convenient...as who needs to carry a separate charger cord around. A headphone icon appears on my iphone with a tiny separate battery icon to indicate the level of charge, which is great. 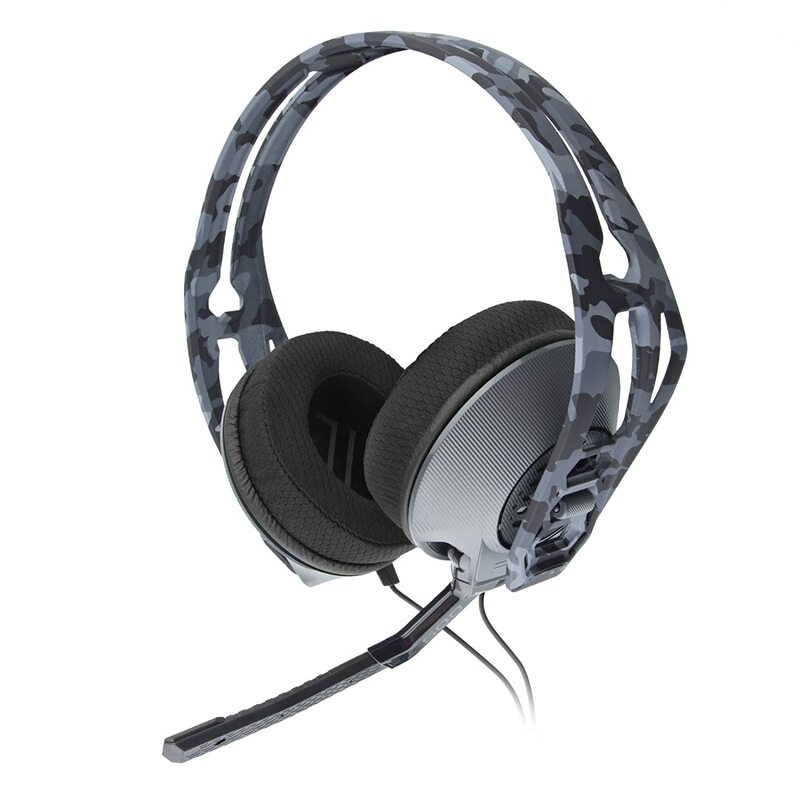 My old headset would just beep a few times and die on me, which is why I bought this set. A metal head band was a must for me. I had a few plastic ones on headsets and invariably they all broke. The vinyl ear pad on the speaker is good quality and hopefully will outlive a cheap foam one. One niggle is the location of the volume buttons, as the boom often interferes with finding them during a call. Not a deal breaker, just a niggle. There is a flashing green light when the unit is in use. That might be irritating in a vehicle at night, but I wish my Wife's headphone she uses for work had that feature. She is unhappy when I interrupt her when she is on a call (we both work from home). I hope these have a long life. This is my fourth or fifth set of wired/bluetooth headphones. Oddly, the bluetooth ones have been more reliable as the wired connections have been delicate (small plug) and invariably failed. This is great headset. I tried a bunch of others, including the MPOW, which got better reviews. I think the MPOW might be sturdier, but the ear-piece cushion is really hard and hurts my ear, whereas this one has a very soft and comfortable earpiece. The sound is fantastic and it connects easily to my bluetooth devices like my phone. Make sure you fully rotate and retract the mouthpiece before packing. I didn't do that for a trip and the mouthpiece broke off, but I realized that I had not retracted it correctly so it was sticking out and bound to break. I don't think the MPOW would have broken given its sturdiness, but I still just really can't use that one. I keep one of these at my office and one at home so I reduce the amount of transportation I need to do with them. Love the product, highly recommend! Very clear sound - almost as if you are not wearing anything at all. Removed one star as the instructions for actually using the unit should have been better. The instructions provided were too small to read with a magnifying glass or perhaps a microscope. I had to make a half dozen test calls to pair with my cellular phone and get the hang of it. Once that was done it has been great. This is a great Bluetooth headset for any price. My initial impression is the headset is well made of quality components. Works fine, easy to use. The sound is clear. Callers can hear me clearly. It's comfortable, though I have not yet worn it for more than an hour. Battery life seems sufficient for a complete days work. Much more comfortable than the high end headsets I had been getting in the past. Doesn't squeeze your head. Very clear speaker and those I talk to do not even realize I am currently driving a noisy truck. They say it is very clear sound. 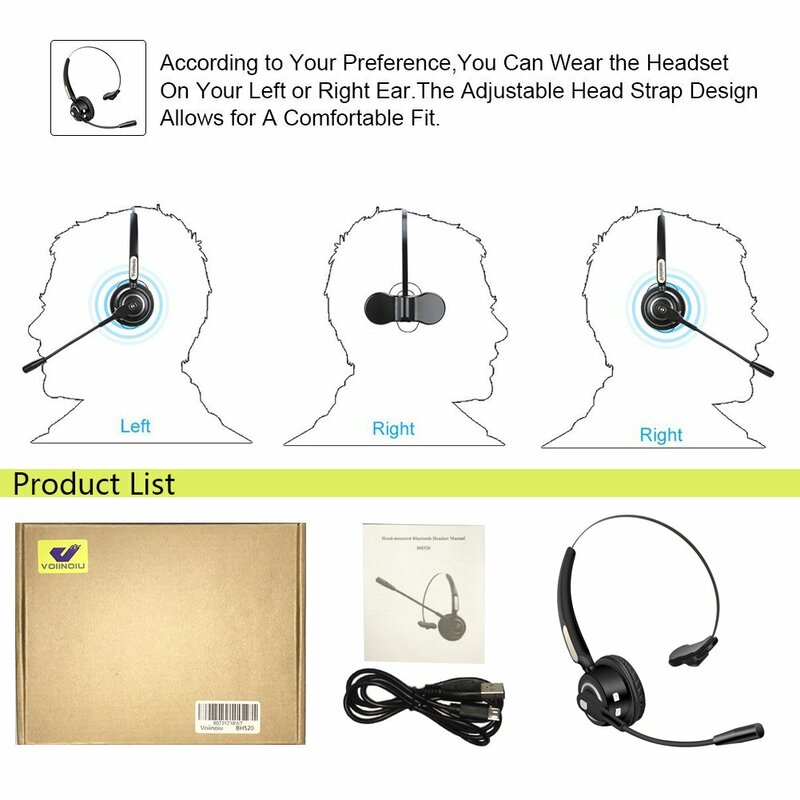 The one I received will only fit on the left ear which I would prefer to keep clear since it is closest to the window and I do not like for it to interfere with any outside noise that I may need to hear. However, it does not significantly interfere with my ability to hear external sounds, so all is OK. It is $100 less expensive than what I had been buying. Battery doesn't hold the charge as long as the others I bought, but still lasts 3 or 4 days. Gives no warning when battery is low so you start loosing sound quality before you realize the battery is dying. Just make sure you charge it every couple of days. I used this in a noisy environment with lots of people talking in the background. Caller state how remarkably quiet it is. It work well and the battery life is very good. I've had this for just a few weeks, so I don't know yet how long it holds up. But I'm very pleased with it so far. I have it connected with a landline at my office. 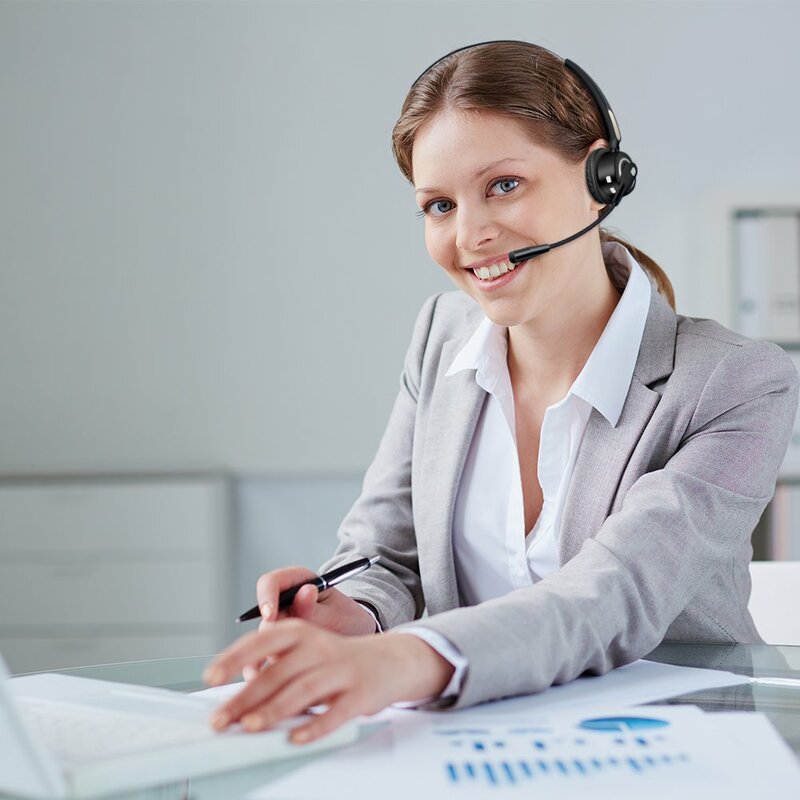 I speak with customers on the phone all day and have no problems hearing and being heard. It's easy to put on and take off and adjust. 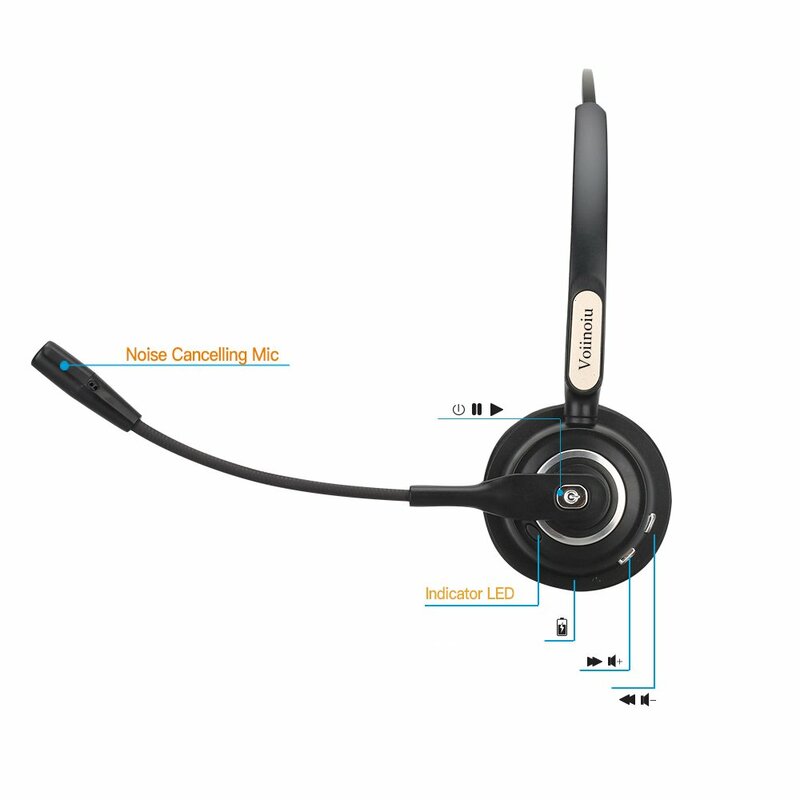 My one minor complaint is that there seems to be a delay when I pick up incoming calls using the button on the headset - the phone keeps ringing in my ear for a bit and I can't tell when I've been connected.